AMStotts 2001, originally uploaded by harmonweddings.com. Just some of the little details of Alex and Michelle's wedding on the beach. 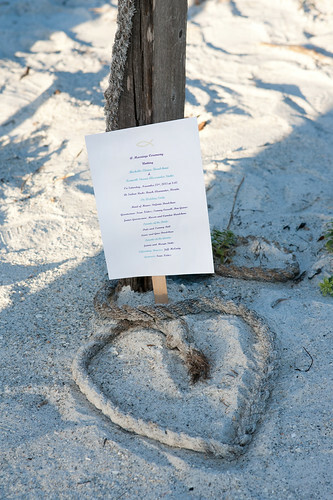 The rope is curved in the shape of a heart with the couple's wedding program, printed on a fan, awaits guests as they enter the beach.